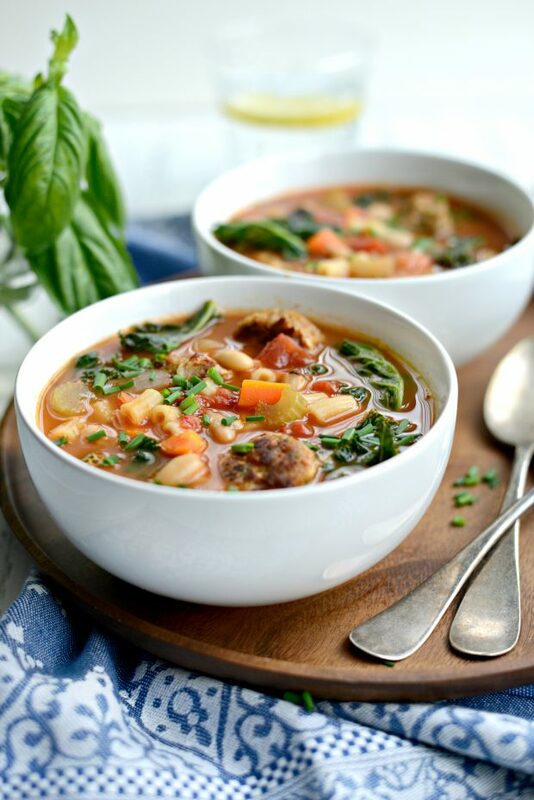 If you want a soup with lots of flavor, then this Italian turkey meatball minestrone soup is the one to make! 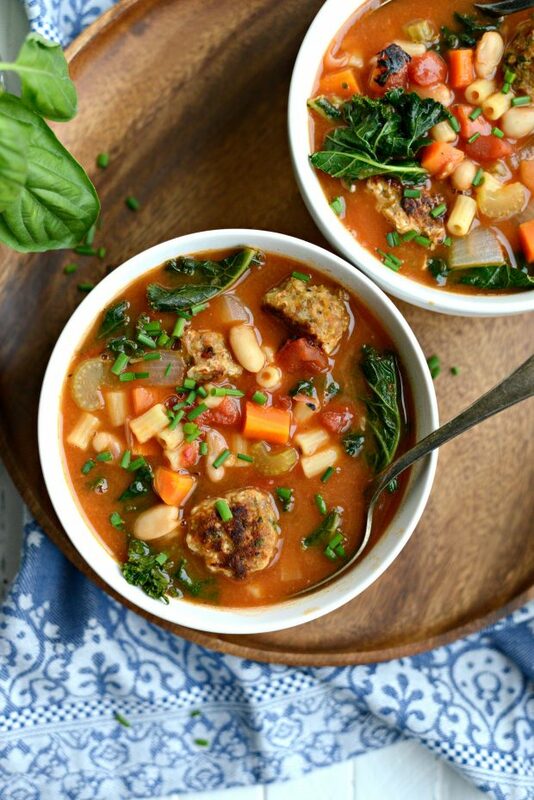 Italian turkey sausage meatballs, veggies, kale, cannellini beans and small ditilini pasta in a light and simple tomato broth. 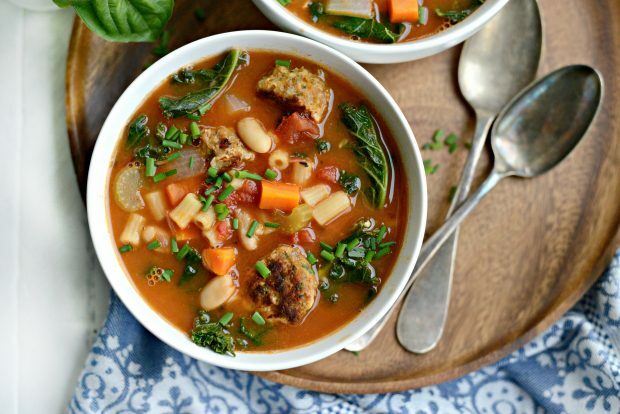 Let’s face it, facing 6 more weeks of winter means lots and lots of soup. Soup is easy. 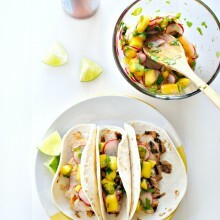 It warms you from the inside out and is best in a bowl with a side of grilled cheese sandwich. amiright? So when the weather is 30 or below, all I can think about is hibernating under 3 blankets and endless bowls upon bowls of soup. 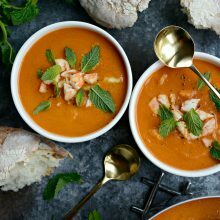 I’ve already made so many soups these past few months and I’m currently loving all tomato based soups right now. Maybe because I’m missing summer and tomatoes remind me of our garden, plus the flavor is incredible, who knows. But broccoli cheddar, chicken noodle and split pea soups are just as delicious, will get the job done and I want them all. 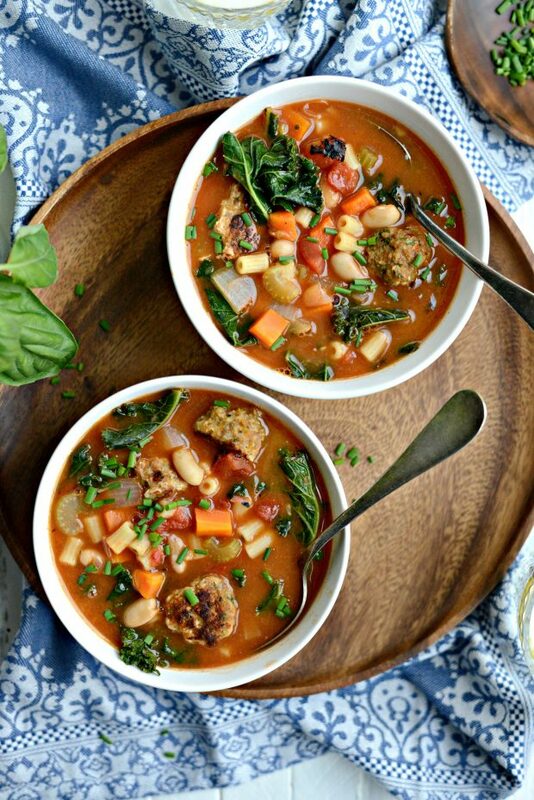 This delicious looking soup you’re looking at is SO darn good. 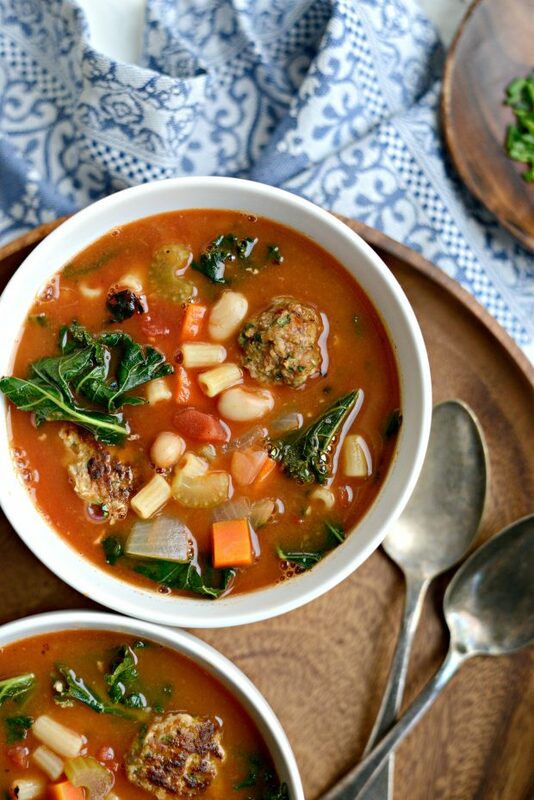 Italian Turkey Meatball Minestrone Soup is extremely hearty and delicious. 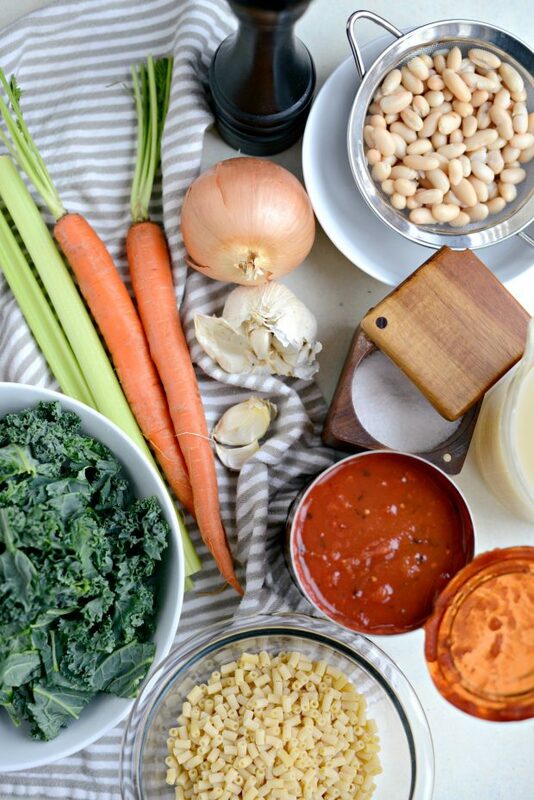 I’m not sure what I love more; the flavorful meatballs or all the veggies, cannellini beans, pasta, kale that’s swimming in a light and soup-er easy tomato broth. Maybe all of it? To make the meatballs, I removed the casing off 3 hot Italian turkey sausages. Then I add them to a bowl with 1/4 cup each of breadcrumbs and freshly grated Parmesan cheese. 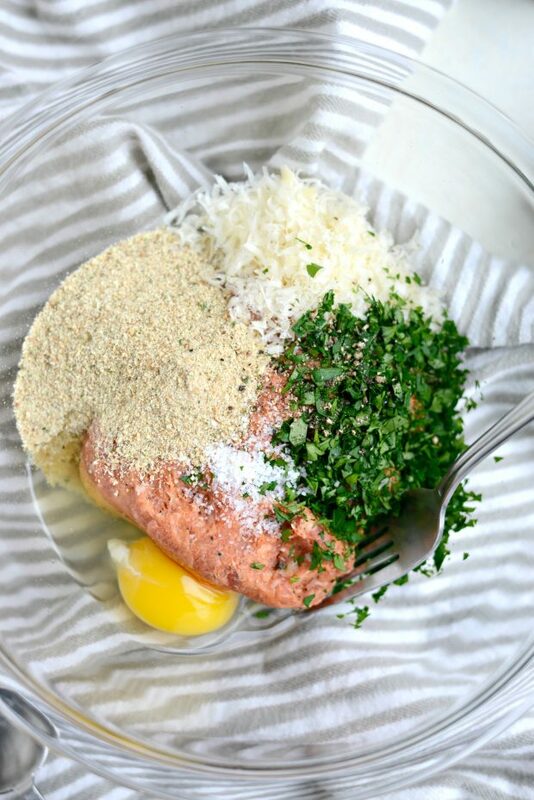 Then crack in an egg and add in 2 tablespoons finely minced parsley and a pinch of both kosher salt and freshly ground black pepper. Use a fork and mix everything together until combined. 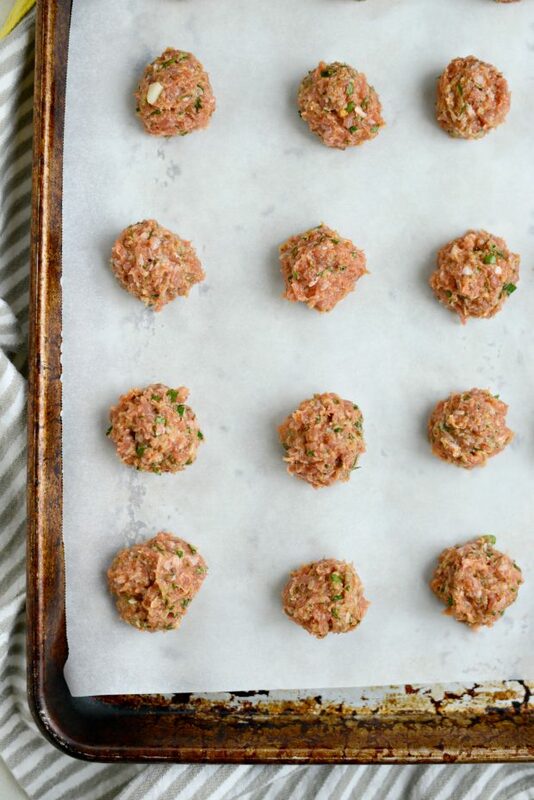 Measure out a tablespoon of the mixture and roll into balls, dropping them onto a parchment lined sheet pan –easy clean up! You should get around 20 meatballs. Bake in your preheated 350° oven for 20 minutes, rotating the pan halfway through. On the reals, the meatballs are so good on their own. Double or triple the batch and serve them with marinara over pasta or zoodles! AMAZING! Now it’s time to make the soup! Saute the carrots, onions and celery in about 2 teaspoons of olive oil, covering and stirring occasionally until tender. About 12 to 15 minutes. Add in the minced garlic and sautee for 1 to 2 minutes before adding in the crushed tomatoes, broth and cannellini beans. Stir, cover and cook for 25 minutes. Season and taste with 1-1/2 teaspoons of kosher salt and 1/4 teaspoon freshly ground black pepper. Meanwhile bring a medium saucepan of salted water to a boil. Add in the pasta and following the package directions, cook until al dente. Then add to the soup. 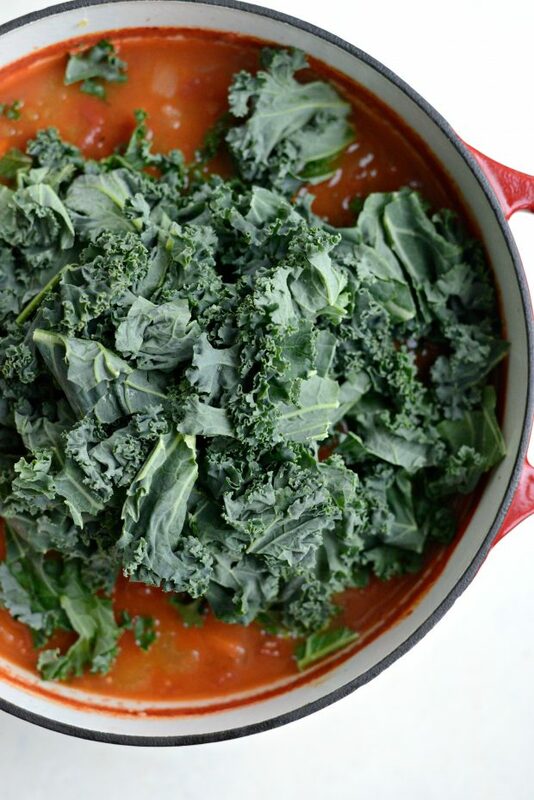 Just before serving, drop in 2 loosely pack cups of chopped kale and stir until wilted and tender. Drop in the meatballs and simply heat through. Just hand me a spoon because I’m going in. Top with snipped chives, chopped basil and/or grated Parmesan cheese. This soup makes quite a bit so big bowls are required. This winter you need to cozy up to this Italian turkey meatball minestrone soup. 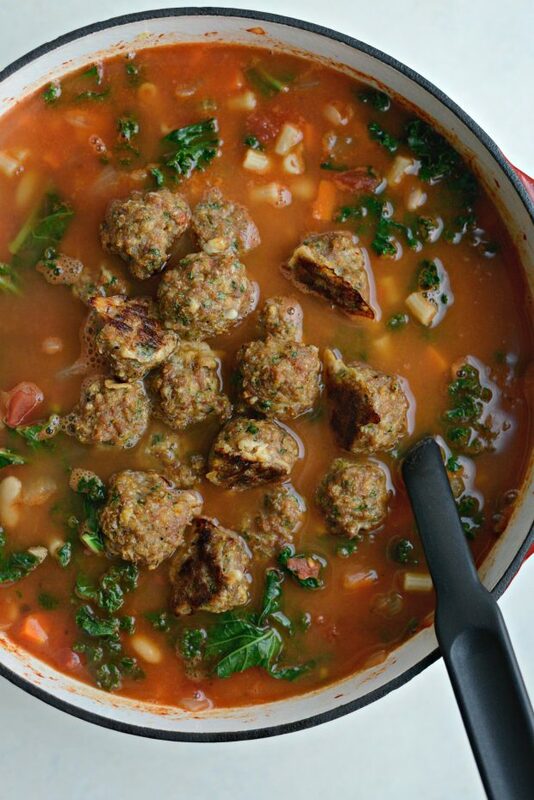 Filled with flavorful turkey meatballs, vegetables, beans, pasta and kale! Preheat your oven to 350° and line a rimmed metal baking sheet with parchment. 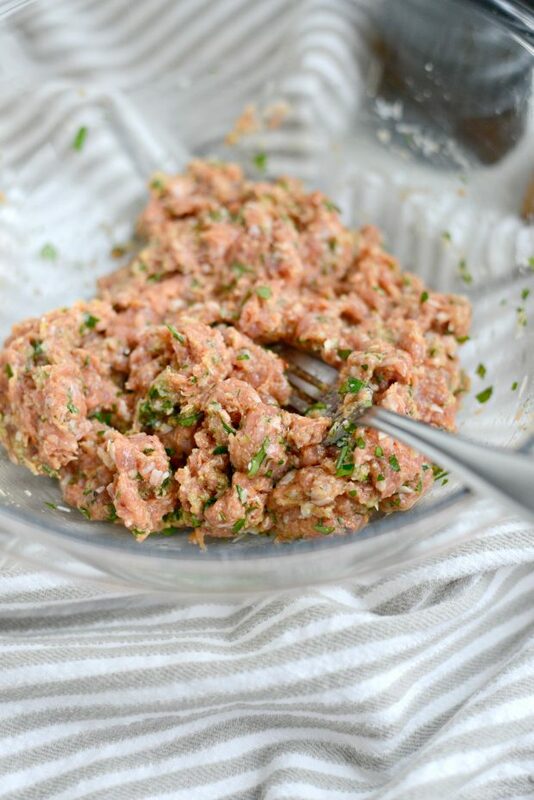 In a bowl, combine the sausage, Parmesan, parsley, breadcrumbs, salt and pepper with a fork. 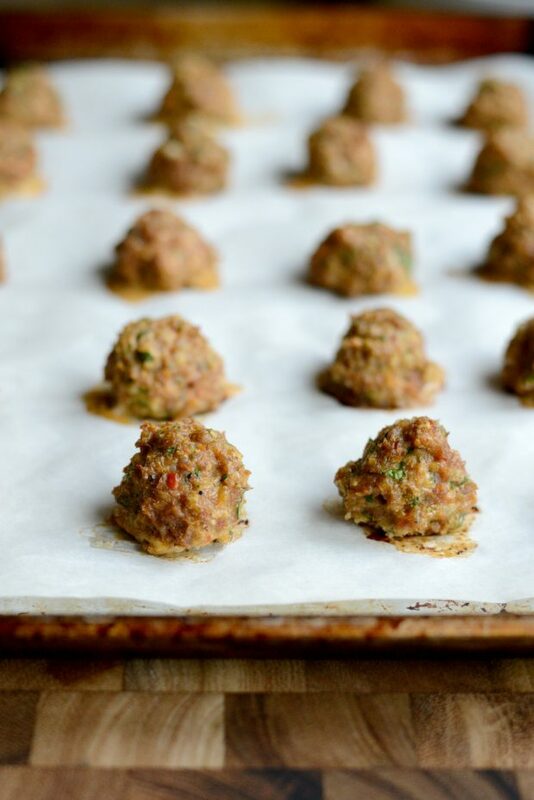 Measure 1 tablespoon per meatball and roll into balls. 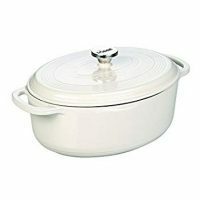 Place on prepared pan and bake for 20 minutes, rotating the pan halfway through baking. 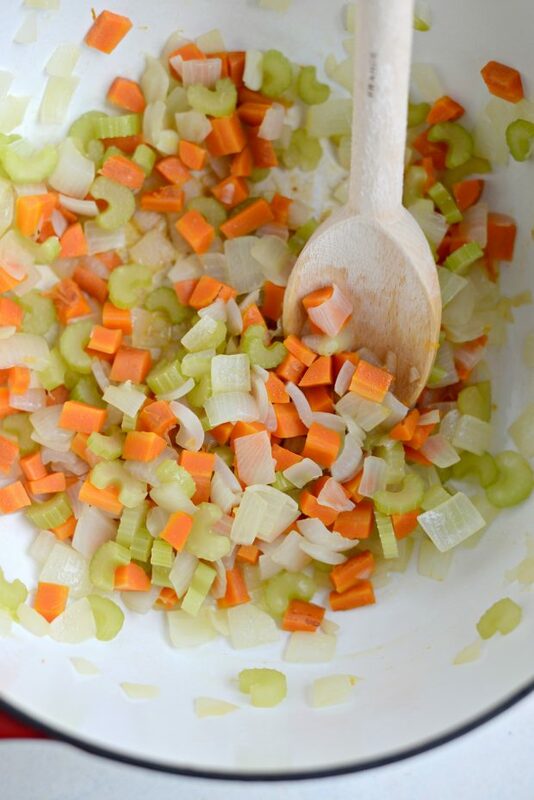 Meanwhile saute the onions, carrots and celery in olive oil until tender, about 15 minutes. 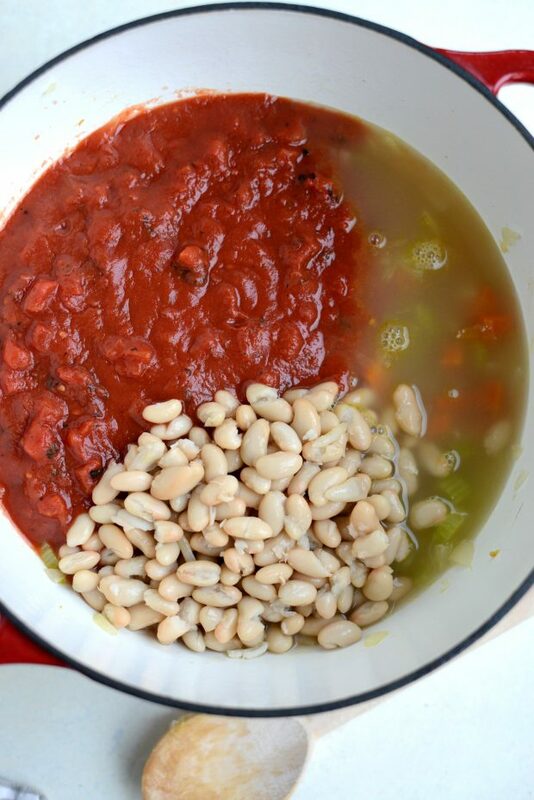 Then add the garlic and cook 1 to 2 minutes before adding in the tomatoes, broth and beans. Simmer for 25 minutes. Meanwhile bring a pot of salted water to boil and cook pasta accordingly to package directions. 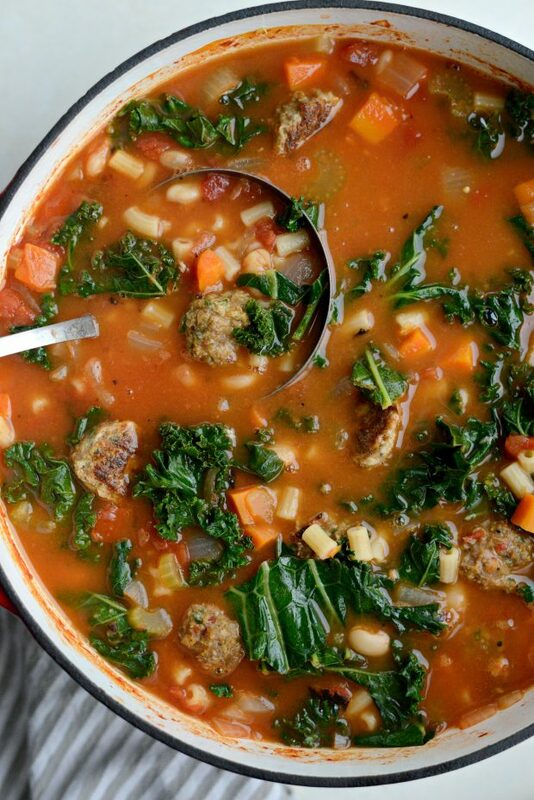 Add kale to the soup and stir until the kale has wilted and is tender. Then add the pasta and season with salt and pepper. 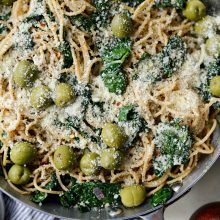 Serve with snipped chives, chopped fresh basil or Parmesan cheese.